with a lookalike & sound-alike tribute. 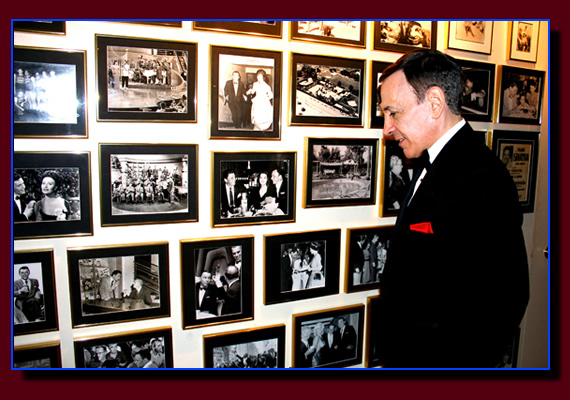 Admiring a wall of pictures after performing at the Frank Sinatra Estate in Rancho Mirage CA, where the cocktail napkins say "Barbara and Ole' Blue Eyes". 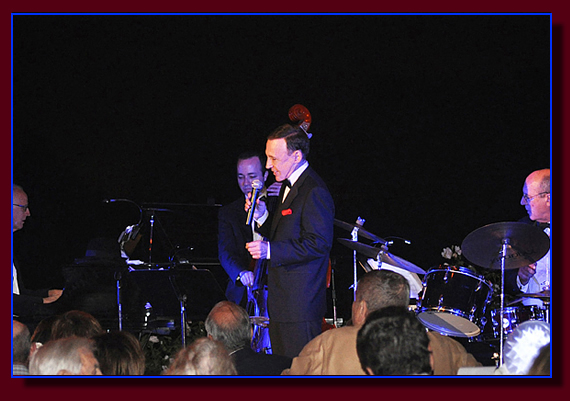 Monty, Thank you for lending your beautiful voice to our Frank Sinatra Golf Tournament Giving Back special. It's amazing how similar you sound to Frank Sinatra. 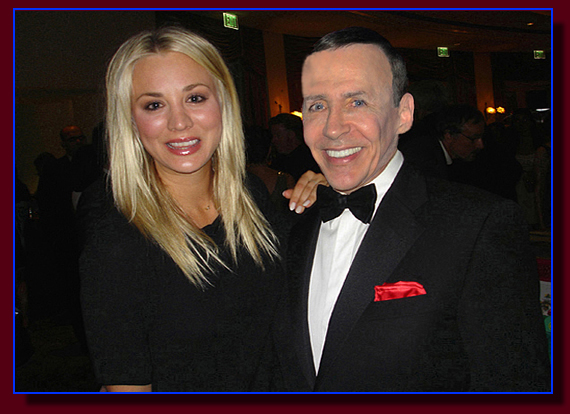 After a performance at a fundraiser in Beverly Hills, with Kaley Cuoco of The Big Bang Theory. It's always nerve-wracking booking an entertainer you haven't personally seen perform, but after exploring Monty's website and watching and listening to all of the video and sound clips, I was convinced I'd made a good choice for our company awards dinner. The show was great! He looks and sounds JUST like Old Blue Eyes, and chose awesome songs from the repertoire. Monty sprinkled in a lot of audience interaction and jokes--even a little trivia game with prizes!--keeping it light, fun, and interesting. It was the perfect mixture. I'm so glad we booked Monty. It was a one-of-a-kind performance and made a great impression on our guests. 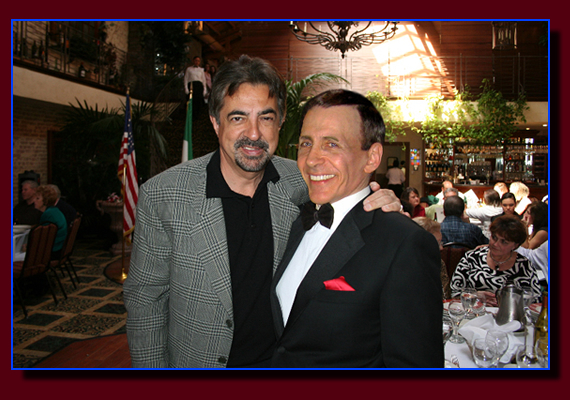 At a Los Angeles event with actor Joe Mantegna, who received an Emmy nomination for his portrayal of Dean Martin in HBO's Rat Pack movie. 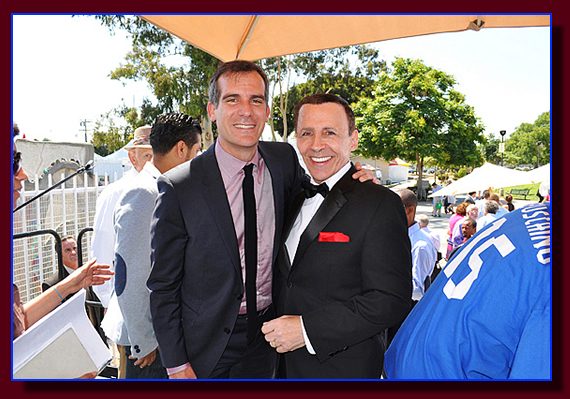 With Los Angeles Mayor Eric Garcetti at the inauguration of L.A. City councilman Joe Buscaino, which was followed by entertainment including a Frank Sinatra tribute performance. 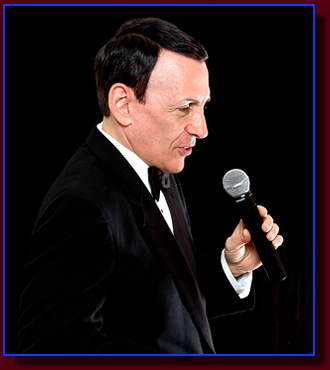 Looking for a Rat Pack Tribute? It was at the Marriott Desert Springs Resort in Palm Springs on Saturday, February 25th, 1995 when Frank Sinatra sang his last song on stage. The event was a Las Vegas style Black Tie dinner and show to raise money for Frank's favorite charity, The Barbara Sinatra Children's Center. I had just performed 20 minutes of standup comedy and Frank was to do three songs. Frank hadn't sung in months and the rumor in our camp was that he was finally going to retire, but no one knew for sure. I'd been traveling as his opening act for fourteen years doing many shows in Las Vegas and at America's finest concert halls, and always found it exciting to be on the road with him, but most exhilarating to grace the same stage as this living legend. Obviously I wanted it to go on forever. As I finished my set, Frank came on and with a grin said "Great show, Tommy. Let's get out of here." 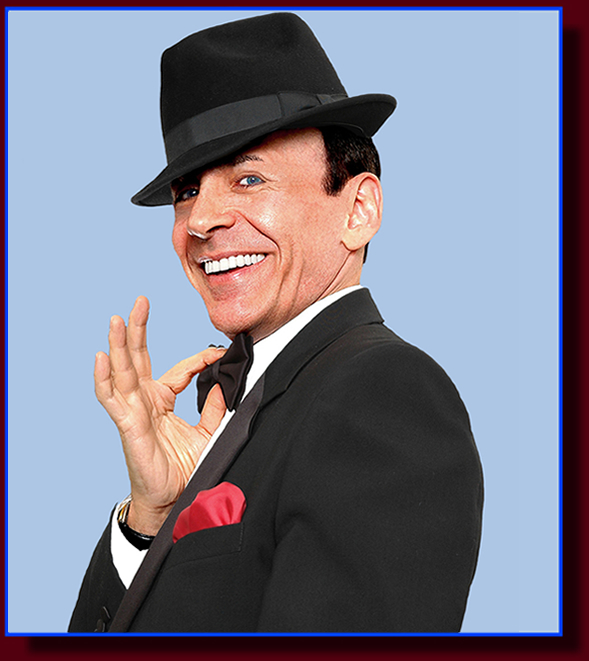 Upon seeing Frank Sinatra take the stage, the audience roared their approval, so they didn't hear his funny aside. He went right into his first song and wowed the crowd. When the song was over, they stood and cheered. He did the second song and they cheered again. He sang "New York, New York" to close the evening and they stood and cheered even louder as he left the stage. They wouldn't stop and kept calling him back, so Frank returned and received two more standing ovations. He finally told the crowd "This is the last one. We've got to get out of here." And then it was on to the last song he ever sang on stage, for which he received his fifth standing ovation of the evening. As he walked off, he winked at me and said "Don't put away that suitcase". I thought, "Great, we're going back out on the road". But we never toured again, because Frank started getting ill and became too weak to perform. And so came the end to a long public journey, from Hoboken to Hollywood, Las Vegas, and beyond. 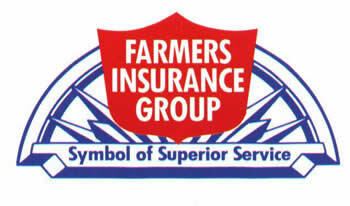 As for the last song Frank Sinatra sang, it was "The Best Is Yet To Come". And so fitting, because his tombstone reads "Francis Albert Sinatra" and underneath his name it says. . ."The Best Is Yet To Come". 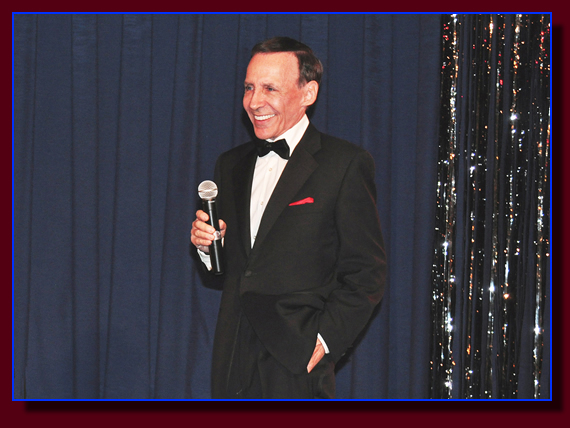 A Marilyn Monroe Impersonator & Frank Sinatra Impersonator in "Frank & His Favorite Females"
No usage or reproduction of any kind is permitted without prior written consent from FrankTribute.com. All content and images on this website are copyrighted. All Rights Reserved.